Dubai Creek Golf & Yacht Club HOTEL, Park Hyatt Hotel, Dubai, United Arab Emirates. 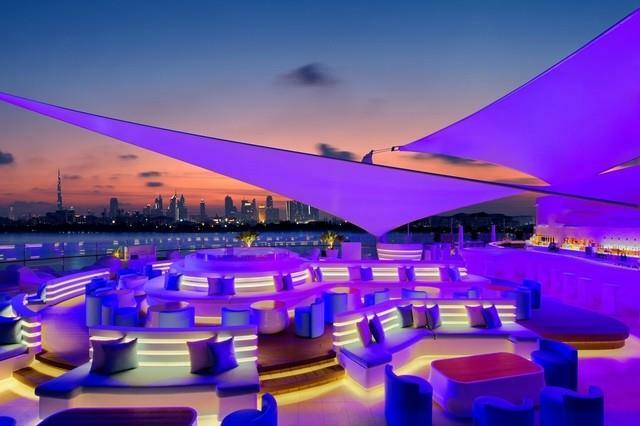 Cielo Sky Lounge and this chic vantage point that gazes across the Dubai Creek and skyline is a truly decadent lounge and club. 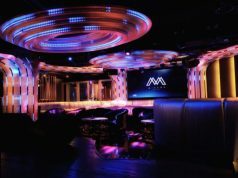 Offering sunset cocktails through to openly aired clubbing as the moon rises into the night sky. 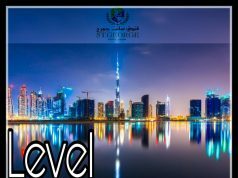 The attention to Spanish authenticity coupled with the hosting of brunches and international DJ’s, Cielo Tapas Bar and Sky Lounge is by far one of the most popular and high spirited venues within Dubai!